While the personal income tax may be the most familiar type of taxation, it is actually a relatively recent method of raising revenue. To raise funds for the Napoleonic Wars between 1799 and 1816, Britain became the first nation to collect income taxes, but a permanent income tax was not established there until 1874. In the same manner, the United States first initiated a temporary income tax during the Civil War. It wasn’t until 1913, however, with the adoption of the 16th Amendment to the Constitution, that a tax on personal income became the law of the nation. In addition to the federal income tax, many states and cities have adopted income tax laws. Income taxes are an example of a “progressive tax,” one that charges higher percentages of income as people earn more money. Technology has now made it possible to file taxes electronically. Electronic tax filing is a method by which a tax return is converted to computer- readable form and sent via modem to the Internal Revenue Service. Electronically filed tax returns are more accurate than paper filed returns because of the extensive checking performed by the electronic filing software. Detecting and correcting errors early also allows the tax return to flow smoothly through the IRS, speeding up the refund process. New computer software is also available that assists individuals with preparing and filing their own taxes. Although there are no specific postsecondary educational requirements for tax preparers, you should certainly get your high school diploma. While you are in high school there are a number of classes you can take that will help prepare you for this type of work. You should take mathematics classes. Accounting, bookkeeping, and business classes will also give you a feel for working with numbers and show you the importance of accurate work. In addition, take computer classes. You will need to be comfortable using computers, since much tax work is done using this tool. Finally, take English classes. English classes will help you work on your research, writing, and speaking skills—important communication skills to have when you work with clients. Once you have completed high school, you may be able to find a job as a tax preparer at a large tax-preparing firm. These firms, such as H & R Block, typically require their tax preparers to complete a training program in tax preparation. If you would like to pursue a college education, many universities offer individual courses and complete majors in the area of taxation. Another route is to earn a bachelor’s degree or master’s degree in business administration with a minor or concentration in taxation. A few universities offer master’s degrees in taxation. In addition to formal education, tax preparers must continue their professional education. Both federal and state tax laws are revised every year, and the tax preparer is obligated to understand these new laws thoroughly by January 1 of each year. Major tax reform legislation can increase this amount of study even further. One federal reform tax bill can take up thousands of pages, and this can mean up to 60 hours of extra study in a single month to fully understand all the intricacies and implications of the new laws. To help tax preparers keep up with new developments, the National Association of Tax Practitioners offers more than 200 workshops every year. 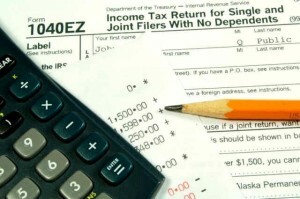 Tax service firms also offer classes explaining tax preparation to both professionals and individual taxpayers. Licensing requirements for tax preparers vary by state, and you should be sure to find out what requirements there are in the state where you wish to practice. Since 2002, for example, tax preparers in California have been required to register with the California Tax Education Council, a nonprofit corporation established by the California State Legislature to oversee tax preparation. Tax preparers who apply for registration in that state must be at least 18 years old. In addition, they need to have 60 hours of formal, approved instruction in basic income tax law, theory, and practice, or two years of professional experience in preparing personal income tax returns. The Internal Revenue Service (IRS) offers an examination for tax preparers. Those who complete the test successfully are called enrolled agents and are entitled to legally represent any taxpayer in any type of audit before the IRS or state tax boards. (Those with five years’ experience working for the IRS as an auditor or in a higher position can become enrolled agents without taking the exam.) The four-part test is offered annually and takes two days to complete. There are no education or experience requirements for taking the examination, but the questions are roughly equivalent to those asked in a college course. Study materials and applications may be obtained from local IRS offices. The IRS does not oversee seasonal tax preparers, but local IRS offices may monitor some commercial tax offices. The Institute of Tax Consultants offers an annual open book exam to obtain the title of certified tax preparer (CTP). Certification also requires 30 hours of continuing education each year. Tax preparers should have an aptitude for math and an eye for detail. They should have strong organizational skills and the patience to sift through documents and financial statements. The ability to communicate effectively with clients is also key to be able to explain complex tax procedures and to make customers feel confident and comfortable. Tax preparers also need to work well under the stress and pressure of deadlines. They must also be honest, discreet, and trustworthy in dealing with the financial and business affairs of their clients. If a career in tax preparation sounds interesting, you should first gain some experience by completing income tax returns for yourself and for your family and friends. These returns should be double-checked by the actual taxpayers who will be liable for any fees and extra taxes if the return is prepared incorrectly. You can also look for internships or part-time jobs in tax service offices and tax preparation firms. Many of these firms operate nationwide, and extra office help might be needed as tax deadlines approach and work becomes hectic. The IRS also trains people to answer tax questions for its 800- number telephone advisory service; they are employed annually during early spring. Try also to familiarize yourself with the tax preparation software available on the Internet and utilize Web sites to keep abreast of changing laws, regulations, and developments in the industry. The National Association of Tax Professionals offers sample articles from its publications, TAXPRO Quarterly and TAXPRO Monthly, online. Tax preparers may work for tax service firms that conduct most of their business during tax season. Other tax preparers may be self-employed and work full or part time. Because tax work is very seasonal, most tax firms begin hiring tax preparers in December for the upcoming tax season. Some tax service firms will hire tax preparers from among the graduates of their own training courses. Private and state employment agencies may also have information and job listings, as will classified newspaper ads. You should also consult your school guidance offices to establish contacts in the field. There are a large number of Internet sites for this industry, many of which offer job postings. Many large tax preparation firms, such as H & R Block, also have their own Web pages. Some tax preparers may wish to continue their academic education and work toward becoming certified public accountants. Others may want to specialize in certain areas of taxation, such as real estate, corporate, or nonprofit work. Tax preparers who specialize in certain fields are able to charge higher fees for their services. Establishing a private consulting business is also an option. Potential proprietors should consult with other self-employed practitioners to gain advice on how to start a private practice. Several Internet sites also give valuable advice on establishing a tax business. According to the U.S. Department of Labor, the median annual income for tax preparers was approximately $25,700 in 2005. Salaries range from less than $15,780 to more than $52,860 annually. Incomes can vary widely from these figures, however, due to a number of factors. One reason is that tax preparers generally charge a fee per tax return, which may range from $30 to $1,500 or more, depending on the complexity of the return and the preparation time required. Therefore, the number of clients a preparer has, as well as the difficulty of the returns, can affect the preparer’s income. Another factor affecting income is the amount of education a tax preparer has. Seasonal or part-time employees, typically those with less education, usually earn minimum wage plus commission. Enrolled agents, certified public accountants, and other professional preparers, typically those with college degrees or more, usually charge more. Finally, it is important to realize that fees vary widely in different parts of the country. Tax preparers in large cities and in the western United States generally charge more, as do those who offer year-round financial advice and services. Tax preparers generally work in office settings that may be located in neighborhood business districts, shopping malls, or other high-traffic areas. Employees of tax service firms may work at storefront desks or in cubicles during the three months preceding the April 15 tax-filing deadline. In addition, many tax preparers work at home to earn extra money while they hold a full-time job. The hours and schedules that tax preparers work vary greatly, depending on the time of year and the manner in which workers are employed. Because of the changes in tax laws that occur every year, tax preparers often advise their clients throughout the year about possible ways to reduce their tax obligations. The first quarter of the year is the busiest time, and even part-time tax preparers may find themselves working very long hours. Workweeks can range from as little as 12 hours to 40 or 50 or more, as tax preparers work late into the evening and on weekends. Tax service firms are usually open seven days a week and 12 hours a day during the first three months of the year. The work is demanding, requiring heavy concentration and long hours sitting at a desk and working on a computer. The U.S. Department of Labor predicts that employment for tax preparers will grow about as fast as the average through 2014. According to the IRS, over 50 percent of U.S. taxpayers used paid preparers to file their returns for the 2005 tax year, and because tax laws are constantly changing and growing more complex, demand for tax professionals will remain high. Much of this demand, however, is expected to be met by the tax preparers already working because computers are increasingly expediting the process of tabulating and storing data. Recent surveys of employers in large metropolitan areas have found an adequate supply of tax preparers; prospects for employment may be better in smaller cities or rural areas. Although tax laws are constantly evolving and people look to tax preparers to save time, money, and frustration, new tax programs and online resources are easing the process of preparing taxes, lessening the need for outside help. Information is available at the touch of a button on tax laws and regulations. Tax tips are readily available, as are online seminars and workshops. The IRS currently offers taxpayers and businesses the option to “e-file,” or electronically file their tax returns on the Internet. While some people may choose to do their own electronic filing, the majority of taxpayers will still rely on tax preparers—licensed by the IRS as Electronic Return Originators—to handle their returns.